Jennifer Stow has been leading yoga classes, workshops and trainings for the last 14 years. Jenn teaches intelligently sequenced, dynamic yoga classes for both children and adults. She has a degree in education and hundreds of hours of training in prana flow (Shiva Rea), Universal yoga (Andrey Lappa), kids yoga and antigravity yoga. Jenn teaches over 20 classes a week in the Ottawa area. ; some challenging and powerful while others are relaxing and restorative. Her wealth of knowledge and experience along with her sense of humour and playfulness make Jenn’s classes both effective and FUN! Stephanie Kay, also known as Red, is a Registered Holistic Nutritionist with a passion for food and fitness. Steph’s approach to nutrition is simple and sustainable, she believes in real food first: eating fresh, whole foods, and cooking with real ingredients. She believes that food is a fundamental key to our health and wellness, and that you can’t outwork a good diet. Steph is the creator of the popular Red's Reset, a 28-day nutrition program, and voice behind her blog, www.kaynutrition.com, with over 200 recipes and free resources where she helps teach people how to make better food choices, fuel our bodies and learn to love real food. Her intention is to help individuals find balance in their diets and create a sustainable healthy lifestyle they can feel good about, while still having fun. Stephanie is a regular guest presenter on CTV and works in partnership with many fitness studios, food organizations in the city of Ottawa. In her spare time, she lives a very active lifestyle working out, running, spinning and practicing yoga, and on weekends you can find her hanging out at the local farmer’s market or enjoying dinner out at her favourite restaurants. I believe we can all learn to heal parts of ourselves through consistent yoga practice, and what can’t be healed can be managed with compassion and wisdom. Having had scoliosis my whole life, this is a lesson I’ve had to learn over and over again. Drawing from a background in journalism and 10 years of teaching yoga, my aim is to help you experience the delicate balance between core stability and diaphragmatic breathing (traditionally called bandha), finding relaxation within challenging situations. I invite you to compassionately explore your boundaries in search of the middle-path, the balance of mobility and strength mobility is balanced with strength. There’s no such thing as a purely physical practice – what you do on the yoga mat infuses everything in life. Slow down, laugh at yourself and enjoy the journey! My teaching blends modern anatomy of movement studies with traditional Hatha Yoga and Ashtanga Vinyasa – mindfully linking breath with postures appropriate to the ability of the student, as a tool to free the mind from its old chains. 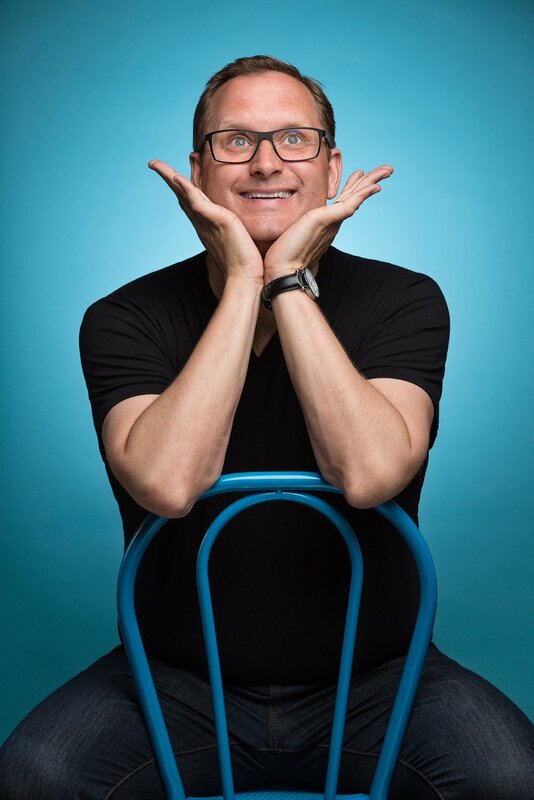 I believe that it is so important to have fun in the process of the practice. Our jobs and our lives are already so serious, why should our yoga practice be too? My hope is that when we step on to our mats that we feel empowered and curious! This is the time to explore, be free of ego and let go of our expectations. Andrea began her yoga journey in 2001 and upon completion of her first 200 hour training began teaching her passion full time in 2004. Her teaching path is a reflection of her deep love of precision and body movement. Throughout the years she has been a dedicated yoga student of Vinyasa, Hatha, Iyengar, Yin and combines all teaching styles into her classes along with her love of strength training. Andrea’s personal and teaching flow practice has taken different shapes over the years and always evolving between fluidity and what creatively inspires her. 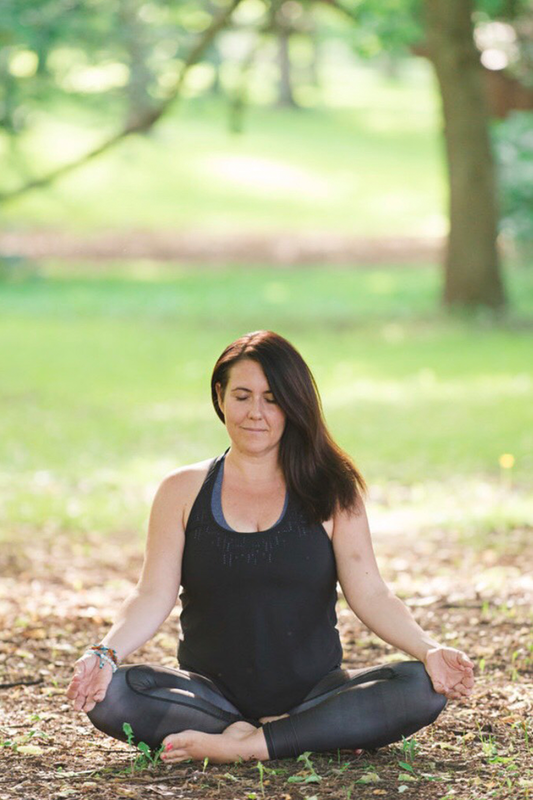 She aims to honour the gift of yoga, providing a full body creative movement class paired with breath work, meditation, cultivating a quiet space that gives students an introspective experience for a complete mind-body experience. 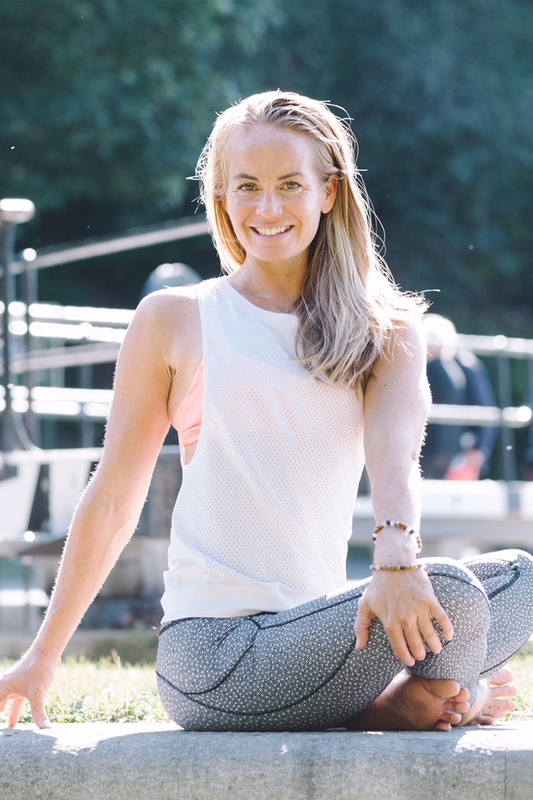 Andrea goal is to guide an intelligent flow that combines the sweat of ashtanga, the wisdom of Iyengar and freedom of vinyasa (with some sneaky strength training moves in between) Andrea travels leading yoga retreats throughout the world and resides in both Ottawa and PEI. She is a regular teacher at Pure Yoga Ottawa. I completed my training in Toronto under the guidance of Ron Reid, Marla Meenakshi Joy and David Bruni. I am also a big fan of Annie Carpenter and Jason Crandell. care, both physically and mentally on my mat. The opportunity to share this with my students is a gift, this practice has truly planted my feet on the ground. Coming from a competitive dance background, I eventually came to a crossroads where my body and mind were no longer feeling fulfilled or invested. I found yoga and body movement to rehabilitate my injured back, and I never looked back. My sisters are my best friends in the world, and on my off days you can find me watching football or maybe even bailing hay...and yes, I will be wearing cowboy boots. We like to keep our students uplifted by creating an engaging and inclusive practice environment that is always filled with laughter. We both love to teach classes that are lighthearted, well-aligned and inspiring. Ciara has completed over 400hrs of training in classical Hatha, Power, Yin, Vinyasa, Prenatal and Thai Massage. Andrew has completed over 200hrs of training in Vinyasa and Yin. We both continue to dive even deeper into our acroyoga training on a regular basis. Acroyoga is the practice of trust. We have spent the last three years working together to marry this main element with a sense of play to help our students enliven their connections - whether it be with strangers, friends or partners. We believe deeply in bringing to life sweet acroyoga partnerships and a strong sense of community enriched with clear communication and built on these three foundations: trust, connect and play. As yoga teachers, we have had the privilege of witnessing acroyoga inspire our students to step out of their comfort zones so that they may truly soar to new heights and blossom their relationships with others - both on and off their mats. I believe that a regular yoga practice has the power to teach us how to be more aware of our experiences, be connected to the moments, and simply be. When we practice remaining present to each moment on our yoga mats, it shows us a way of being more present in our day to day lives. It reminds us to be kind, patient, and loving to ourselves, and in turn, to those around us. I work to infuse all these elements of my yoga practice into every aspect of my life from parenting to washing my dishes. My approach to teaching yoga is simple, accessible, and pragmatic. I focus on creating quiet spaces for the mind to calm down amidst the movement, work, and stillness of the body. My classes are powerful and gentle, a beautiful pairing to help you leave feeling nourished, supported, and loved. Genevieve discovered her passion for yoga and meditation in 2000 after spending two months living and studying in the Sivananda Ashram in Nassau Bahamas. Experiencing firsthand the profound ability to transform, nurture and heal the body, mind and soul she began integrating her practice into every aspect of her daily living. Teaching from a playful, heart-centered approach, Genevieve aims to inspire her students to move into a place of loving empowerment. Her classes challenge you to explore equally the physical, emotional and spiritual aspects of yoga, breathing and meditation. Genevieve is recognized for her creative and thoughtfully designed classes, and encourages her students to express, nourish, laugh, and embrace the beautiful depths of their whole self. Since first being introduced to meditation 35 years ago, my practice has become a more important part of my life with each passing year. I first approached my meditation practice with curiosity, then with dedication, and now with an increasing sense of playfulness and wonder. I encourage my students to set themselves up for success, focusing on the basics and entering into their meditation practice in a way that feels easy to them. Meditation is far easier than most people expect, and the benefits are far greater than they imagine. A farmer can plant seeds, but she can’t make the crops grow. Similarly, I believe our job as meditators is to plant the seeds of a consistent practice with fundamental techniques, and then let the benefits of meditation naturally grow and flourish in our lives. Similar to my primary teachers, Michael Stone and Charlie Knoles, I aspire to share the traditional teachings of meditation in a practical way that makes sense in our contemporary world. The greatest benefit of meditation in my life has been the gift of space. Space to breathe, be present, and have the choice to respond to my experiences rather than react. Kate has been teaching fitness and yoga in Ottawa for 12 years and is highly addicted to both! She teaches most styles of yoga but specializes in power and core. 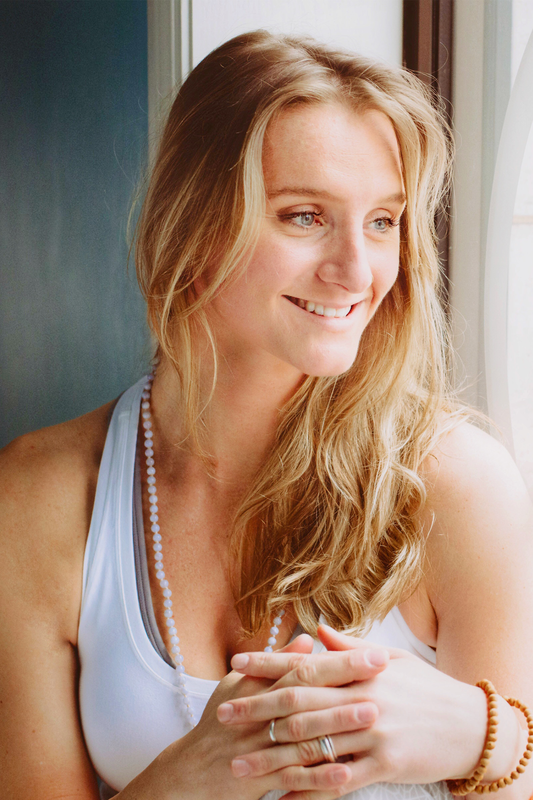 You can practice with Kate at Pure Yoga or catch one of her baby/child friendly bootcamps. Tiffani enjoys teaching yoga because it has made such a positive change in her own life leading her to live the happiest and healthiest version of herself! She creates a nurturing, fun and uplifting environments in all her classes, workshops, and retreats helping to educate and empower students. As a practicing Registered Massage Therapist for over a decade, she shares her passion for Anatomy in Movement as well as touch as a leader in the Ottawa Yoga Teacher Training community. 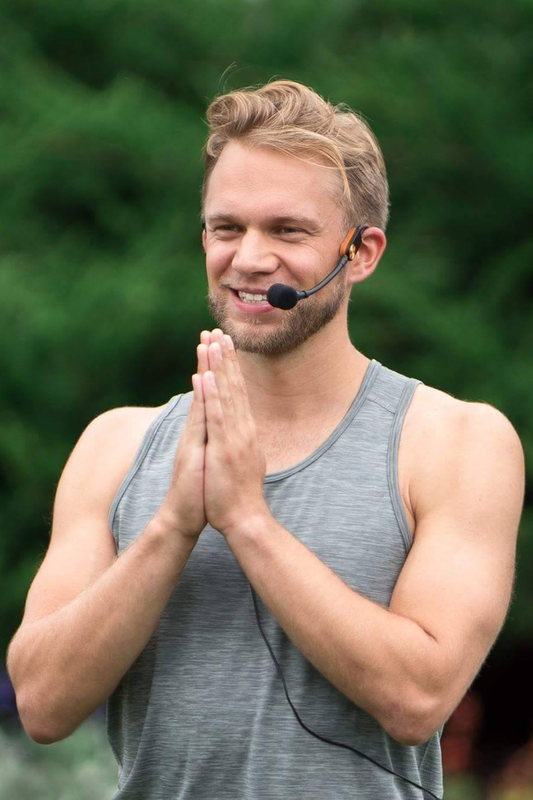 J-P Tamblyn-Sabo is a dedicated yoga practitioner, teacher, teacher of teachers, and the founder of the Ahimsa Yoga method – a style of yoga dedicated to honouring the ancient traditions, while continually refining the physical practice with modern understanding of biomechanics and physiology. J-P’s students appreciate his clear, methodical instructions as well as his supportive and empowering teaching style. His skillful infusion of asana with spiritual depth, and his ability to translate challenging philosophical, anatomical or esoteric concepts into accessible and familiar language are key components of his gifted instruction. I love to teach a 💪strong 💪, slow flow that leaves you feeling centred, grounded, and ready to take on the world 🌍. I also have a deep appreciation for the quieter practices like restorative, yin, and meditation, and weave elements of these into my classes. 💕 . While I've been teaching for over 10 years, I consider myself first and foremost a student 📚. I've taken countless trainings and workshops with many incredibly gifted teachers in countries around the world. I just can't get enough. As someone who has struggled on and off with depression for many years, yoga has, without a doubt, been the most reliable and consistent way for me to remain ✨healthy ✨ on every level. Yoga literally saved my life and I've dedicated my life to bringing the gift of yoga to others, through my teaching and yoga studios ❤️. Yoga was love at first breath for me so many years ago! I teach because I want my students to experience the joy, strength, and freedom that yoga has brought me both on and off my mat. My creative but intelligent sequencing weaves in philosophy, pranayama, meditation & movement. My classes allow students the space to explore while challenging themselves to see where they are able to go. I have been teaching for over 15 years and have completed training in core strength vinyasa, classical hatha, power, yin & yoga nidra. Here are a few fun facts about me! 📖When I’m not running after my kids you’ll find me studying Ayurvedic tradition & reading up on nutrition and self-care. 💛I love yoga, pure and simple. I like to keep my students inspired with strong creative sequencing. I love to teach an uplifting, strengthening sweaty practice. I have completed over 400hrs of training in classical Hatha, Core Vinyasa and Power. Yoga has been the key for me moving through life with serenity, courage and curiosity. As co-owner of Pure Yoga I have been gifted to provide the space for others to land on their mats daily and continue to transform from the inside out. I like teaching the types of classes I like to take, safely aligned athletic flows synchronizing breath with movement. Challenging my students both physically, and mentally. I’ve completed over 800hrs of training in Classical Hatha, Power Vinyasa and Moksha. As a yoga teacher I have witnessed yoga as a powerful way to tap into our deepest places of trust, confidence and power. Ultimately, yoga is about transformation. As co-owner of Pure Yoga I am grateful to be able to provide a safe place for students to evolve. 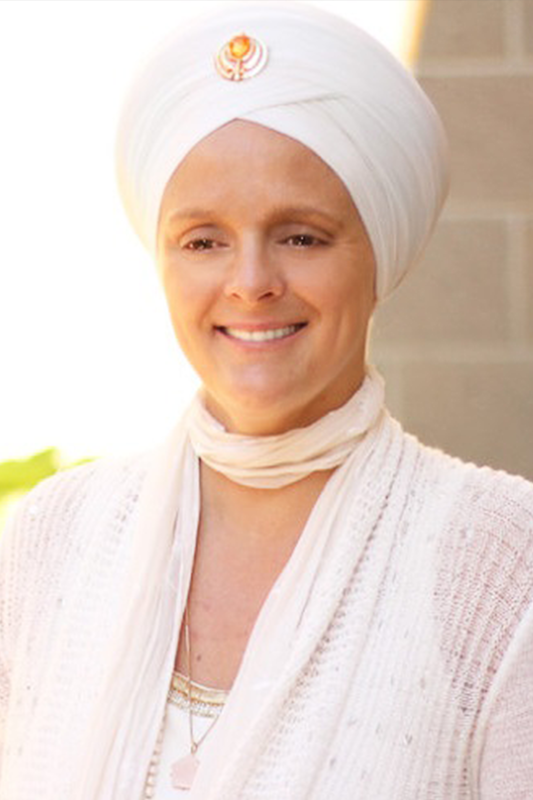 Attend a Kundalini class with Devinder, and you'll experience why students have studied and practiced with her for well over 15 years. Her strong interpersonal approach to teaching helps people reach their individual goals and empower themselves through yoga. While talented and practiced, Devinder is also a 500 Hour Yoga Alliance Registered Yoga Teacher in the Hatha and Kundalini Yoga traditions. She is Hatha Yoga Teacher Trainer and is a KRI Kundalini Yoga Lead Trainer. With over 25 years of experience as a self-employed business owner and business/IT consultant, she is a much requested presenter on television programs, at local and national Yoga and Women's conferences, and travels extensively as a guest trainer for Kundalini Yoga Teacher Training programs. Devinder is the owner and director of PranaShanti Yoga Centre which is celebrating its 10 year anniversary this year! We'll constantly be updating this page, so follow us on social media to see who else will be teaching at the festival this year!